The castle of Rocca Calascio, in the province of L’Aquila, is one of the highest fortresses in Europe. With its 1500 meters in height, overlooking a magnificent panorama, it cannot be described in words! 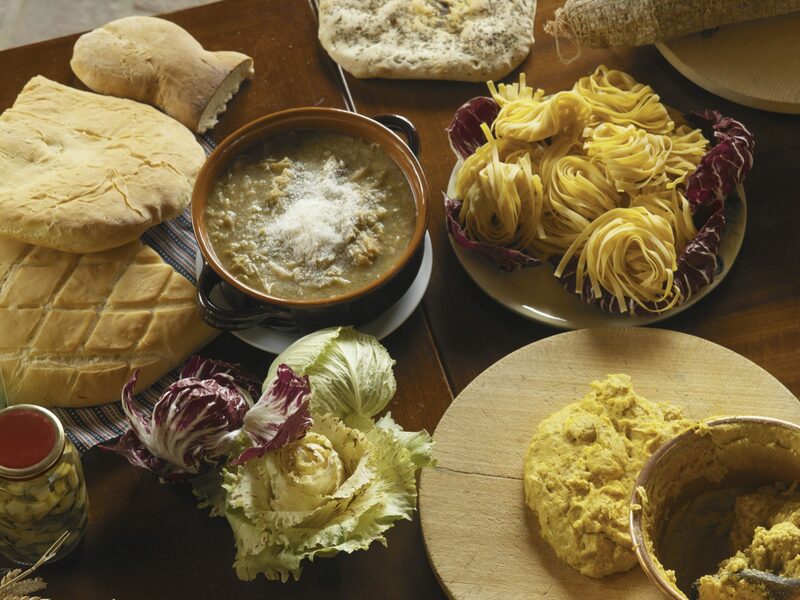 But we’ll try to do it justice all the same … let’s go to Rocca Calascio! 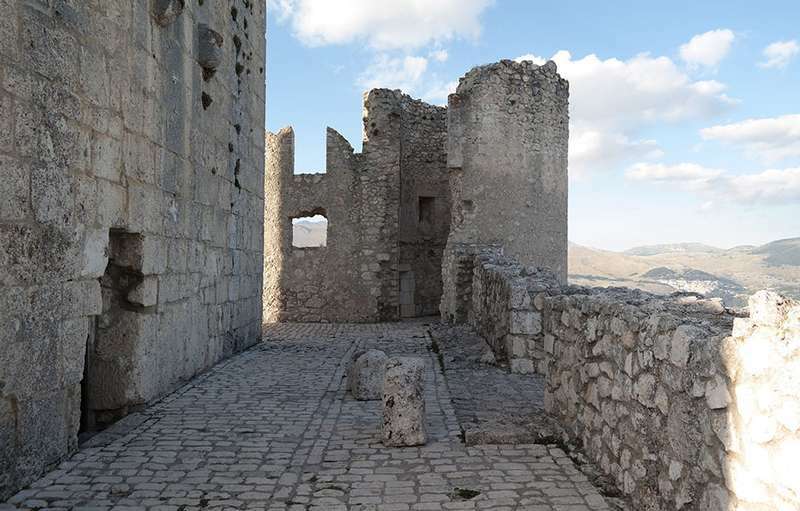 Rocca Calascio exudes an aura reminiscent of the Middle Ages, a quiet and peaceful atmosphere, halfway between reality and fantasy. The construction of the fortress dates back to the year 1000, but the first historical document relating to it dates back to 1380. The original structure’s function was that of a watchtower and communication tower with other towers and castles near the Adriatic Sea. The Castle has been the subject of a major renovation, made necessary by a violent earthquake in 1703, and is today one of the main tourist attractions of the region. The castle of Rocca Calascio seems to blend in with the rocks surrounding it, as if it were a spontaneous creation of the mountain. Built in white stone, it is surrounded by crenellated walls and four corner towers. The enter the castle, you must pass a wooden bridge, formerly retractable, which is now supported by stone corbels. The entire castle can be visited free of charge. 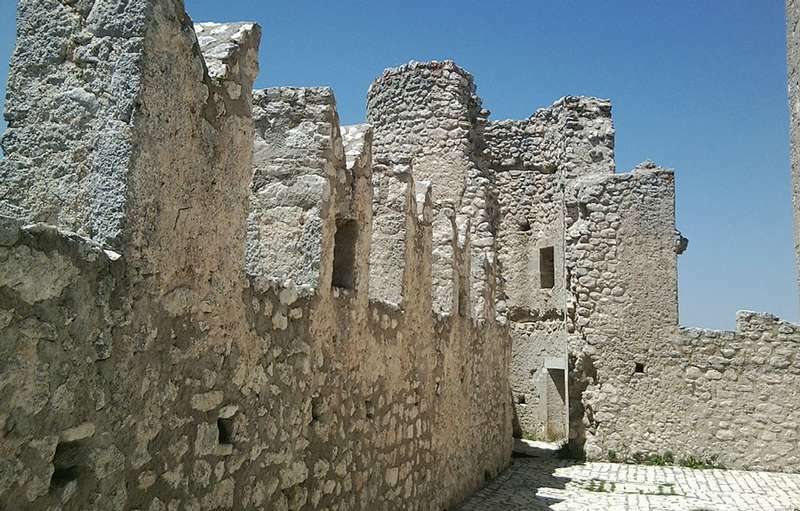 Rocca Calascio dominates the Park of Gran Sasso and impresses by the ability with which it manages to blend in with the surrounding territory. A visit to the Castle makes us experience extraordinary sensations, which takes us back in time. It is precisely for this special atmosphere that the fortress has been chosen as the setting for many films. The first film to be shot here is LadyHawke (USA, 1985), when the Castle had not yet been restored. The following year, it was the movie “The name of the rose” with Sean Connery. La Rocca is also visible in some scenes of the film The American (USA, 2010) starring George Clooney, shot entirely in the province of L’Aquila.